Daniel Lizurek of Fast Profits also has a list of words to avoid on his copywriting blog. Want a sample of verbal vomit? 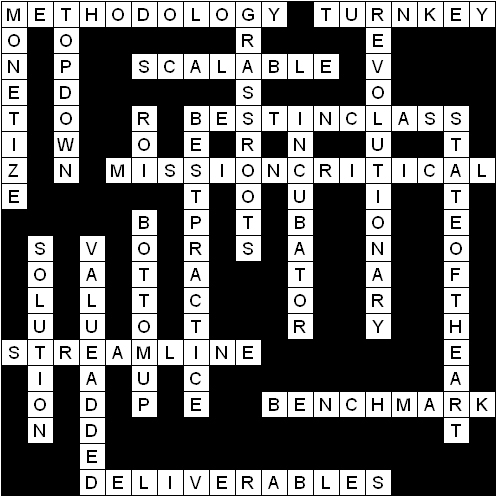 Try the Online Buzzword Generator! I am an energetic self starter with a deep respect for engaging resources and getting deep buy-in. I’m always interested in being a key player and helping you gain synergistic value on your mission-critical project. It’s important to think outside of the box, shift paradigms and push the envelope when bringing user-centric change to an organization. When I’m involved it’s about the value-add and creating a win-win proposition. In this economic climate you have to right size but remain scalable and always deliver service that is world class. In conclusion, if you can’t describe your own products in 30 seconds or less without resorting to clichés or buzzwords you’re losing sales and market share. to write a sales letter, email or presentation. Finally someone has realised that this jargon actually makes you sick! People boring you with trying to be important with words that do not impress. If they get down to business and stop all this BS they would save themselves a lot of time and probably be better understood and liked.